The entire catechumenate is ordered to leading catechumens and candidates to living a true liturgical life, permeated by prayer, worship, and regular participation in the sacraments. Therefore, we must communicate to participants in the process that the liturgy is their means to achieve holiness. All knowledge of the faith, practice of spiritual and corporal works of mercy, and obedience to the laws of the New Covenant flow from the liturgical life. In light of this fact, the presence of liturgical elements in the RCIA process is crucial. The Christian initiation process is intended to be fundamentally liturgical. Participants need and have a right to the grace that flows from the font of the Church’s liturgy as it is made available to them as catechumens and candidates prior to full communion. This grace is an indispensable aid to conversion and the means by which they enter into intimate union with Christ and his Church. The steps towards this intimate union can be referred to as the major rites of the RCIA process. These are the gateways through which participants knowingly and freely decide to pass in their journey towards receiving the Holy Eucharist. Supporting these major rites are various minor rites. These minor rites serve to make present all possible means of grace to enable the catechetical and pastoral work to achieve the goal of faith and conversion. Having reached the point of initial conversion and wishing to become Christians, unbaptized catechumens are accepted into the household of the faithful through the Rite of Acceptance. Through the Rite of Welcoming, the baptized candidates are brought into a more committed relationship with the Church to which their Baptism already unites them. For both the unbaptized and baptized participants, this gateway signifies that the Church is formally accepting them into her midst as, respectively, catechumens and candidates for full communion. Though not fully initiated, they become truly the Church’s own (part of Christ’s household). Therefore, they can expect help and support from Mother Church. Liturgically, this means they have a right to all the blessings, exorcisms, anointings, and other minor rites that are included in the section entitled, Rites Belonging to the Period of the Catechumenate (RCIA 81-117). Although these rites are specifically designed for catechumens, the guidelines for the candidates explain that “some of the rites belonging to the catechumenate, especially suited to the condition and spiritual needs of these baptized adults, can be used” for their advantage (RCIA 406-407). Prior to the sacraments of initiation, this first major gateway is the most significant one for both catechumens and candidates. For many of them, standing up publicly before a Catholic priest, in the midst of a Catholic congregation, and stating their intention to enter into a formal relationship with the Catholic Church is a challenging, even frightening experience that may cost them dearly with their friends and family. Therefore, pastoral sensitivity to their situations is extremely important. Apart from the challenges they may face from the catechesis they are receiving during the period of catechumenate, personal situations and conflicts with family can present great problems and can even cause crisis. Not only teaching to the responses in this major gateway, but also reminding them of the grace they have received and continue to receive through the minor rites, can help focus them on God and foster confidence in his providence. He has led them to this point. Whatever problems they face, God is pouring out grace on them through this major rite and through the subsequent minor rites of the catechumenate. From now on, catechumens and candidates receive blessings and are dismissed at Sunday Mass to go to what has become known in some regions as “Breaking Open the Word." 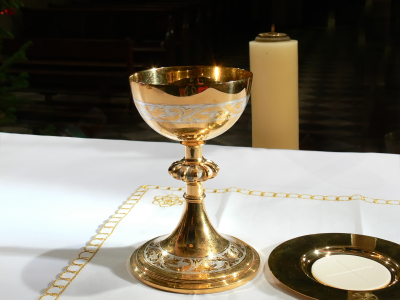 The Church feeds them richly on the Word until they can come to the table of the Eucharist, and makes available to them grace mediated through sacramentals to deepen conversion. The catechumenal process is designed for and suited to the conversion process in the hearts of those adults who come to seek the Lord and grow in faith through the working of the Holy Spirit. Between the major rites, the Church offers minor rites – rich liturgical fare that will strengthen and feed participants, bringing them great growth and development in the Spirit and in their conversion to Christ. This liturgical food is extremely significant for them. To omit the minor rites is to deprive them of many and great actual graces of the sustenance for their journey to the sacraments. For catechumens, the minor rites are especially focused on preparation for Baptism; for candidates, they are intended to strengthen them in the Christian life through the working of baptismal grace already present in them. Of the rites that are provided during the catechumen ate, “celebrations of the Word of God are foremost” (RCIA 79). Since neither the baptized nor the unbaptized can be nourished by the Eucharist as yet, it is clear that these celebrations of the Word can be beneficial for candidates as well as catechumens, and thus the guidelines seem to imply their participation along with the catechumens (cf. RCIA 406). This implantation of the teachings in their hearts happens through the power of the Word of God. Here the teachings they receive are alive, permeating their hearts and minds. Here this Word of God is given in the context of liturgy, where God meets man, and in the context of prayer, communion with God. Through explanation followed by experience, the participants learn prayer, liturgy, and worship, as they enter into a deeper relationship with God through his Word. Gradually, by receiving Christ in Word, they are prepared to receive the Word made flesh in the Eucharist. Let's take a quick look at the second type mentioned above. Catechumens are dismissed halfway through Mass, after the homily. Instead of dispersing, they remain together - with the help of some of the faithful - to share their joy and spiritual experiences (RCIA 67). This is an important part of participants’ spiritual growth. The catechumens are to go out but remain as a group with some of the faithful. This is an opportune time to discuss the scriptures just proclaimed, not as an additional catechetical session, but as an extension of the liturgy. This opportunity, often referred to as “Breaking Open the Word”, has in view the Church’s desire to allow a deeper reflection on the lectionary readings and homily. Understanding the value of this liturgical participation and deeper nourishment on the Word, it is then no surprise that other celebrations of the Word of God can and should be held for catechumens and candidates for their spiritual well-being. Celebrations held specially for them not only witness to them the honor in which we hold Scripture as God’s word, but also draw them into prayer and the experience of the living God that comes from entering into and being permeated by his voice and deeds as recorded in scripture. It places everything in, as it were, an envelope of prayer, which is the context in which catechetical instruction should be held (RCIA 84). Thus, what we believe and do is founded on and driven by God’s Word. A model for a celebration of the Word of God is provided in RCIA 85-89. This model indicates the use of an opening song, readings and responsorial psalm, a homily, and concluding rites which may be one of the other minor rites for the period. This celebration is in fact a true liturgical function, as can be seen by the format, and so should be celebrated appropriately, with responses and gestures native to that done during the Liturgy of the Word at Mass. 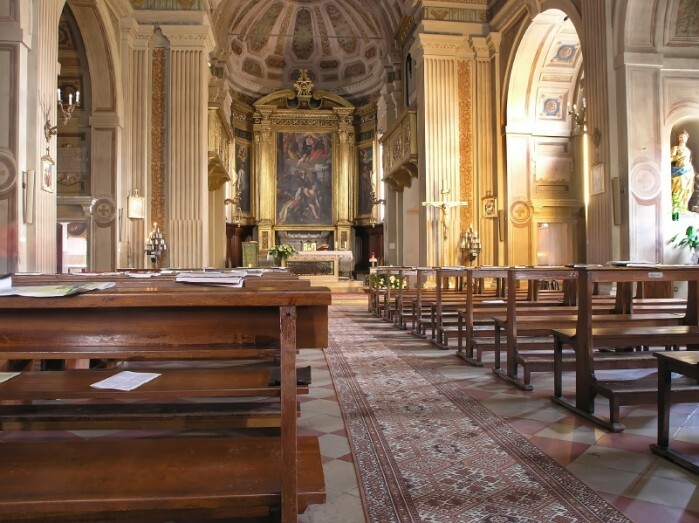 A sacred space, with the scriptures enthroned, and perhaps candles and a crucifix or other image is certainly appropriate here. After the Rites of Acceptance and Welcoming, catechumens and candidates have the right to blessings, minor exorcisms and anointings. with Christ. They should be administered by a deacon or priest if one is present (refer to RCIA 16 if a cleric cannot be present). Each catechetical session is enriched in the encounter with Christ by use of these sacramentals. The Church is battling against evil, and so prays and petitions God on behalf of the catechumens. “Minor exorcisms draw the attention of the catechumens to the real nature of the Christian life, the struggle between flesh and spirit, the importance of self denial for reaching the blessedness of God’s kingdom, and the unending need for God’s help” (RCIA 90). These minor exorcisms are to prepare the catechumens for baptism. Minor exorcisms ordinarily take place within a celebration of the Word. When needed, they may also be prayed privately for an individual (RCIA 92). Prayers against sin and the power of evil may be prayed for the baptized as well, but it is important that a priest or deacon use a prayer appropriate to those who are already baptized (the minor exorcisms are specifically for those not baptized). The baptized and the non-baptized are in very different situations because of the significance of the grace of the sacrament of Baptism; therefore, the two groups should be clearly distinguished from one another, and their differing sacramental situations must be reflected in the prayers for them. Blessings and anointings are usually given within the same context as described for minor exorcisms above. “The blessings of the catechumens are a sign of God’s love and of the Church’s tender care. They are bestowed on the catechumens so that, even though they do not as yet have the grace of the sacraments, they may still receive from the Church courage, joy, and peace as they proceed along the difficult journey they have begun” (RCIA 95). Blessings may also be given to the baptized, but the blessing given should reflect the fact that they have received the sacrament of Baptism and that their baptismal graces are active, stirring them to conversion and to a deeper relationship with the Lord. The baptized should be aware of the profound significance of their baptismal grace in their lives and should seek to make use of these graces given by God. The baptized and the non- baptized should therefore receive very different blessings, according to their situation. “During the period of the catechumenate, a rite of anointing the catechumens, through use of the oil of catechumens, may be celebrated wherever this seems beneficial or desirable” (RCIA 98). The Church also provides for the unbaptized a rite of anointing of the catechumens, which is celebrated by a priest or deacon. This rite is for catechumens only, using the Oil of Catechumens, and “symbolizes their need for God’s help and strength so that, undeterred by the bonds of the past and overcoming the opposition of the devil, they will forthrightly take the step of professing their faith and will hold fast to it unfalteringly throughout their lives” (RCIA 99). The minor exorcisms, blessings, and anointings may be celebrated numerous times throughout the catechumenate. These are all very significant liturgical rites and should never be downplayed or rushed. Liturgy, here in the form of sacramentals, remains ever central to participants’ growing intimacy with God. Place Catechesis within a "Liturgical Envelope"
Do not neglect or rush through a final prayer time. Plan it to reflect the catechesis: for example, the Litany of the Sacred Heart after a session on the Incarnation. Special prayers, hymns, and readings can be chosen to assist participants in reflecting upon the truths which they have learned. Use them as the Church does, to celebrate and apply those truths. 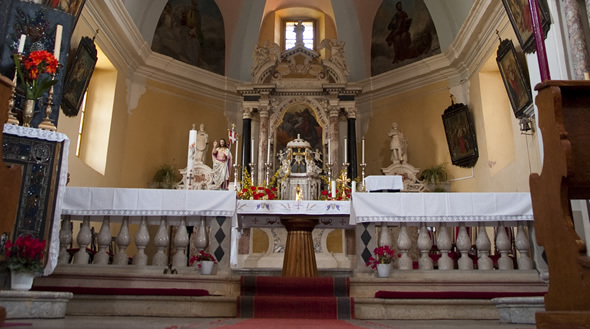 Gradually other sacramentals can be introduced, always accompanied by the proper catechesis, being careful to connect them to the sacraments: for example, distribution of holy water with instructions for use in anticipation of or in light of Baptism. The blessing and use of an Advent wreath can be added to a celebration of the Word. 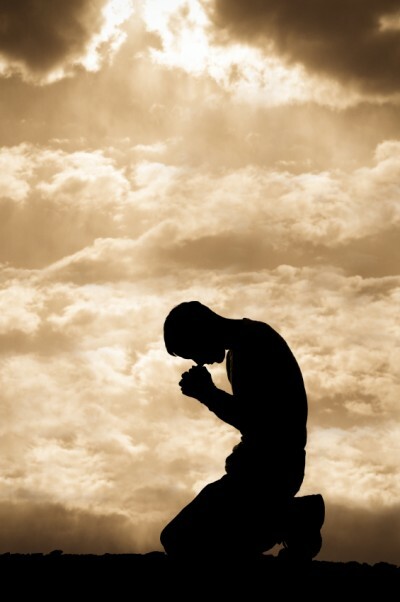 As conversion progresses, more time ought to be spent in prayer. Exposition and Benediction of the Blessed Sacrament, preceded by explanation and instruction, can be a fitting addition when catechesis on the Eucharist is given. Praying a scriptural rosary together with intercessions for the needs of the group is a good accompaniment to instruction on Mary’s role in the Church. Every opportunity to celebrate and participate in the liturgical year ought to be used, including special focus on the patronal feast of the parish or local ethnic feasts. Penitential prayers and fasting should be explained as they apply, and catechumens and candidates should be invited to participate. The Prayer of the Church (Liturgy of the Hours) can be used here to great benefit, as well as Lectio Divina (an ancient form of praying with and meditation on scripture). If the RCIA team is consistent and organized in the way these traditions and prayer forms are introduced, participants will eventually delight in them. “Consistent” means developing a ritual of how to pray so that participants are not continually distracted by the novelty of what is being done. “Organized” means that when introducing a new piece or element, it is first explained and always facilitated (perhaps with a handout) so that they can easily follow along. In this way, participants will gradually become comfortable with doing liturgical things and desire to do them. 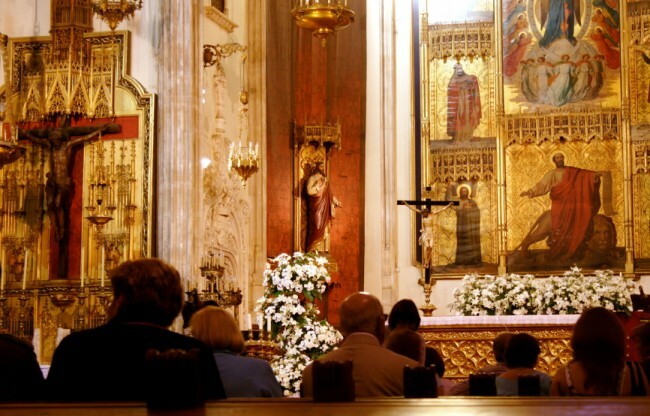 At the end of the period of the catechumenate, a parish may celebrate the optional Rite of Sending. There is a Rite of Sending for catechumens, and one for candidates (the baptized). In the Rite of Sending of the Catechumens for Election, the local congregation sends the catechumens to the bishop for election. To send someone to the bishop means that they have discerned that the person is ready. The process of discernment has been going on for all this time, following the guidelines given by the Church, and the catechumens should be aware that this is, in fact, a time of discernment of their readiness. “As the focal point of the Church’s concern for the catechumens, admission to election belongs to the bishop who is usually its presiding celebrant. It is within the parish community, however, that the preliminary judgment is made concerning participants’ state of formation and progress. This rite offers the local community the opportunity to express its approval of the catechumens and to send them forth to the celebration of election assured of the parish’s care and support” (RCIA 107). Throughout the period of the catechumenate, the RCIA participants should have become increasingly involved with the local community. The community will wholeheartedly acclaim their readiness because they know them. The participants know that this rite marks a key moment. It is appropriate that the bishop to recognize them because he is the sign of unity of the particular Church, but it is the parish community’s responsibility to bring those in RCIA into the fullness of the life of the Church. In this rite, a priest, deacon, catechist, or representative of the community presents the catechumens to the celebrant, asking that they be recognized for their progress and be sent with the parish’s blessings and prayers to election by the bishop. The godparents give public testimony about the catechumens. The godparent’s role is very significant; they represent the community and are asked here to make serious statements about the catechumens. The celebrant then represents the entire community in recommending them. The Book of the Elect may be signed at this rite, unless it is to be signed in the presence of the Bishop at the Rite of Election (RCIA 113). Intercessions are prayed for the catechumens, and the celebrant prays a prayer of blessing over them. Like the catechumens, the candidates have been involved with the local community, so the community knows them and supports them. In the rite, they are presented to the celebrant by a priest, deacon, catechist, or representative of the community, who asks that the candidates be recognized for their progress and be sent with the community’s blessings and prayers to the bishop for recognition. The sponsors, who, like the godparents, represent the community, give testimony about these candidates. Their role and the statements they make are also very serious. The celebrant affirms and sends them to the bishop. Because the candidates are already baptized, they do not sign the Book of the Elect. Intercessions are prayed for them, and the celebrant prays a prayer of blessing over them. There is a combined Rite of Sending, found in Appendix I of the RCIA text (RCIA 530ff). For the catechumens, this gesture signifies that they have been called by Christ and attests to the reality that only those mystically claimed by Christ will enter heaven. From this point forward, they are no longer catechumens but are called the elect. They have been chosen to enter into the final period of preparation for initiation, and called by their shepherd to the holy mysteries to be celebrated that Easter. For the candidates, like all who have been baptized, this reality of being chosen and claimed by Christ took place at Baptism. Therefore the Rite of Election is inappropriate for them; they are already among the elect in Christ. Instead, the candidates are called to continuing conversion, and thus their intention to be fully initiated and share in the Eucharist is recognized, and the bishop exhorts them: “Hear the Lord’s call to conversion and be faithful to your baptismal covenant” (RCIA 454). the major and minor rites, genuinely assisting them in embracing the call that will be brought to its full measure through the purifying and enlightening graces of Lent. The scrutinies, which are solemnly celebrated on Sundays and are reinforced by an exorcism, are rites for self-searching and repentance and have above all a spiritual purpose. The scrutinies are meant to uncover, then to heal all that is weak, defective, or sinful in the hearts of the elect; to bring out, then strengthen all that is upright, strong, and good. The scrutinies are celebrated on the third, fourth, and fifth Sundays of Lent. The presentations normally take place during Lent. With the catechumenal formation of the elect completed, the Church lovingly entrusts to them the Creed and the Lord’s Prayer, the ancient texts that have always been regarded as expressing the heart of the Church’s faith and prayer. These texts are presented in order to enlighten the elect. This Penitential Rite can serve to mark the Lenten purification of baptized but previously uncatechized adults who are preparing to receive the sacraments of Confirmation and Eucharist or to be received into the full communion of the Catholic Church. Because the Penitential Rite normally belongs to the period of final preparation for the sacraments, its celebration presumes that the candidates are approaching the maturity of faith and understanding requisite for fuller life in the community. It is normally celebrated in the second Sunday of Lent. 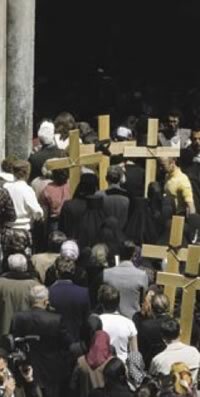 When it is possible to bring the elect together on Holy Saturday for reflection and prayer, some or all of the following rites may be celebrated as an immediate preparation for the sacraments: presentation of the Lord’s Prayer if it has been deferred, “return” or recitation of the Creed, Ephphetha Rite, and the choosing of a baptismal name. Through this final step the elect, receiving pardon for their sins, are admitted into the people of God. They are graced with adoption as children of God and are led by the Holy Spirit into the promised fullness of time begun in Christ and, as they share in the Eucharistic sacrifice and meal, even to a foretaste of the kingdom of God.